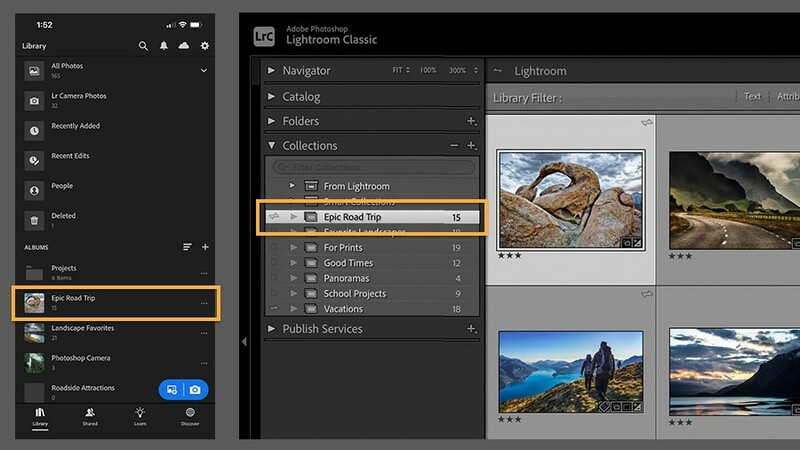 Learn how to turn on syncing in Lightroom CC and sync photos between Lightroom on the desktop and Lightroom for mobile. Use these photos in your Adobe Portfolio. 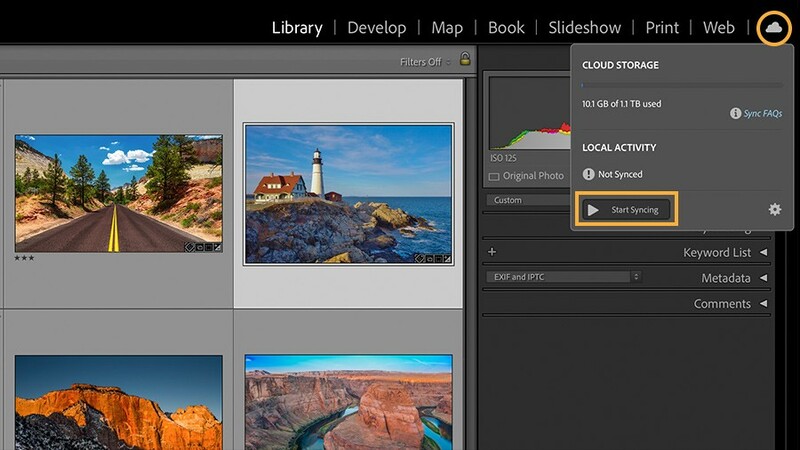 Note: You need a Creative Cloud membership or trial to sync photos across all your devices. 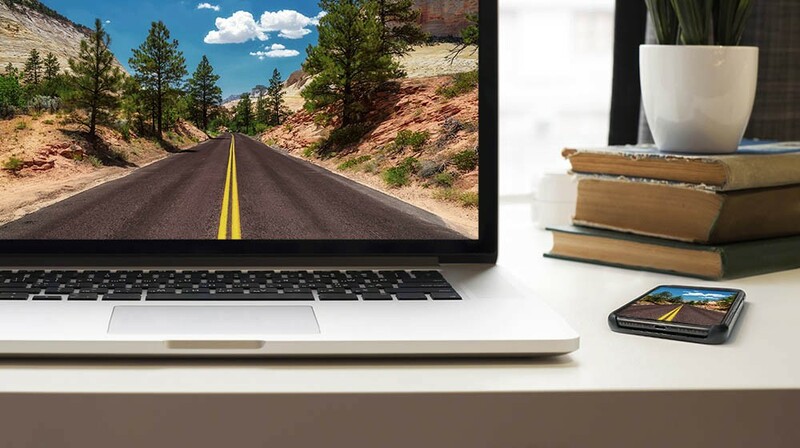 Launch Lightroom on your desktop, and make sure you have an Internet connection. If you're not signed with your Adobe ID on your computer, in Lightroom choose Help > Sign In, click Sign in now and enter your Adobe ID and password. Click the Identity Plate at the top left of Lightroom to view the Activity Center. If Sync with Lightroom mobile is set to Start or Paused in the Activity Center, click Start or Paused to turn on syncing. 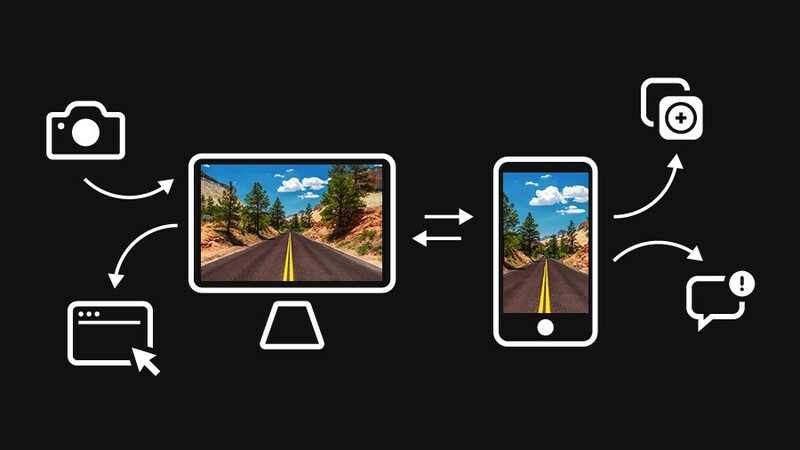 When syncing is enabled, you'll see a pause icon to the right of Sync with Lightroom mobile. Note: You can sync only one Lightroom catalog at a time. 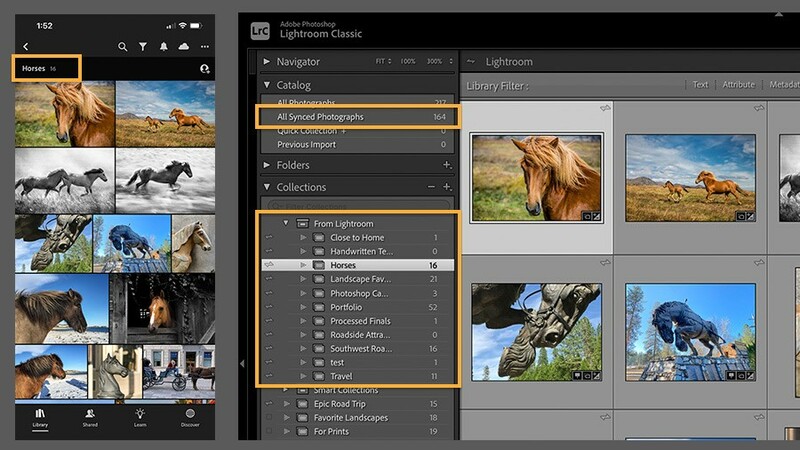 If you switch to syncing another catalog, your photos and collections will be deleted from Lightroom for mobile, but images stored on your computer will not be deleted. You control which photos are synced from Lightroom on your desktop by marking existing or new collections of photos for syncing. To sync an existing collection, open the Collections panel and click the checkbox to the left of a collection to add a double-pointed sync icon. Note: To stop syncing a collection, click its double-pointed sync icon and choose Stop Syncing. 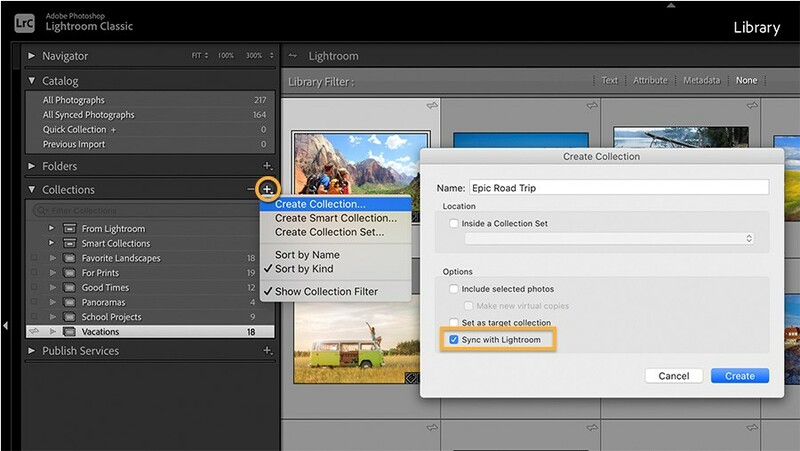 In the Create Collection window, click the Sync with Lightroom mobile checkbox and click Create. Add photos to the collection by dragging them onto the collection name in the Collections panel. 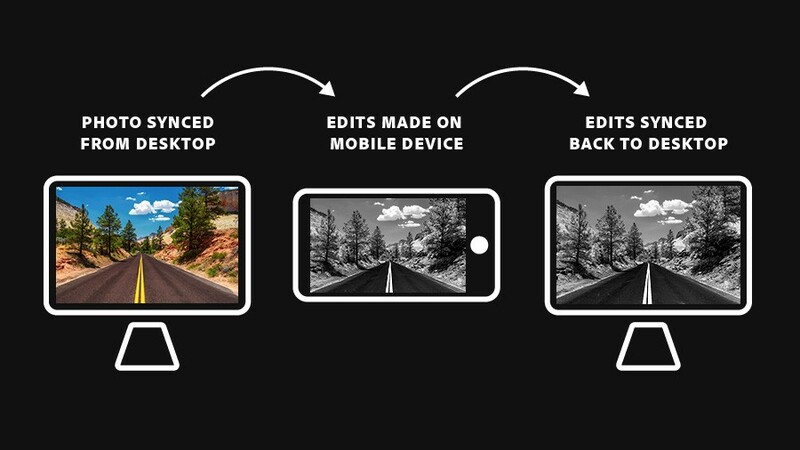 Open Lightroom for mobile on a mobile device. If you're not already signed in, tap Sign in and enter the same Adobe ID you used to sign in on your computer. Tip: You can confirm the Adobe ID with which you're signed in by tapping the Lightroom icon at the top left of Lightroom for mobile. 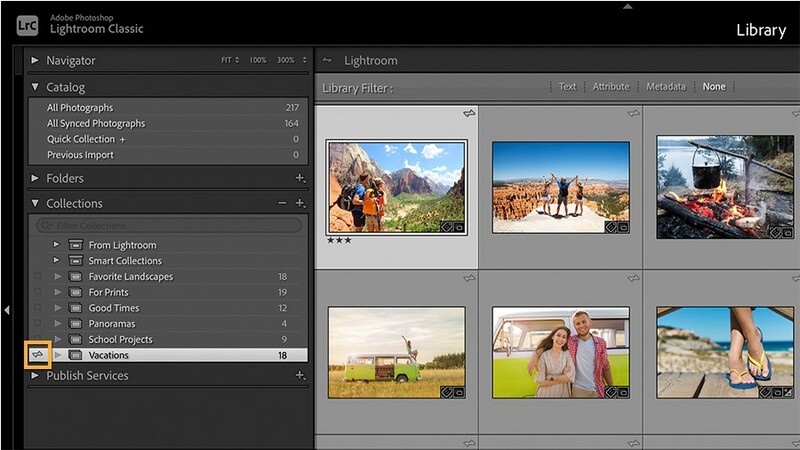 The collections synced from Lightroom on your desktop appear on your mobile screen. This may take a few minutes depending on your connection and the number of photos being synced. Photos and collections you add to Lightroom on any of your mobile devices will automatically sync to Lightroom on your computer. You can view these collections in the From Lr mobile collection set in Lightroom on your desktop. Synced photos also appear in the Folders panel in Lightroom on your desktop under the name of your device or in a folder you designate in Lightroom Preferences > Lightroom Mobile > Location.